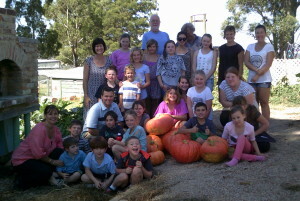 Growing, harvesting, preparing and sharing fresh seasonal produce is what our grades 3 -6 children do every week. But there is so much learning that takes place in the program~ hands on learning, caring for plants and soil over time, cycles of nature and so on. 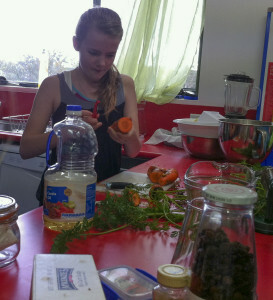 Our kitchen garden volunteers are an essential part of a successful program – can you spare an hour or so on Thursday mornings to come and work with our students? In 2014 the garden continues to thrive with the enthusiasm of children and staff AND the addition of the new fence donated by Bunnings. 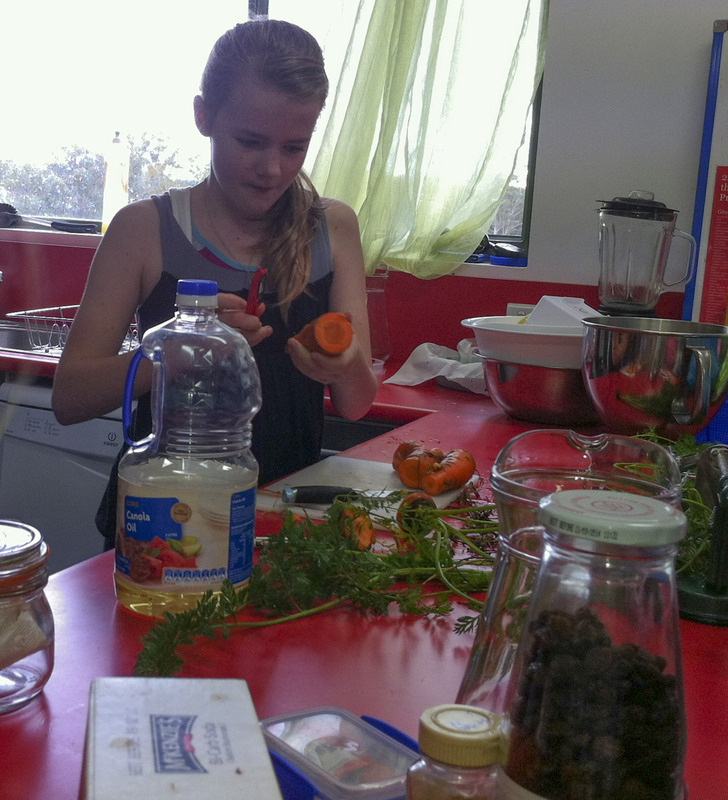 In the kitchen each week we enjoy a banquet using ingredients harvested from our garden- students have an amazing flair for creating a vast array of delicious dishes under the guidance of John. 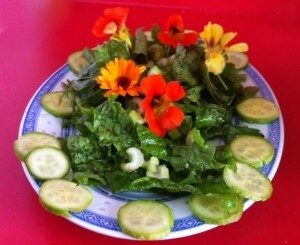 This enticing salad including edible flowers was prepared by Jayden. 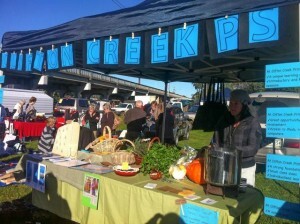 In June our Stephanie Alexander Kitchen Garden Program went to market. 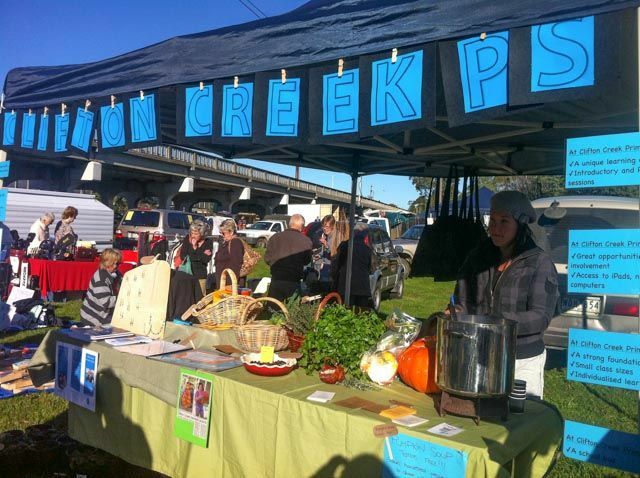 On a crisp sunny Sunday morning we set up in the Howitt Park market with pumpkin soup samples, herbs, recipes, seed jewellery and lots of great information about how the program operates at CCPS. Did you see us there?